Relieve Stress, Aches & Tension: with therapeutic heat penetrates deep into your muscles and tissues and melts away all stress, aches, tension and knots. Heat Therapy: optional heat therapy, radiating gentle warmth, to help soothe and loosen tight muscles. Double-directional Massage: clockwise and counterclockwise rotate, deeply penetrating massaging nodes, mimicking the vigorous penetration of a real massage therapist hands. 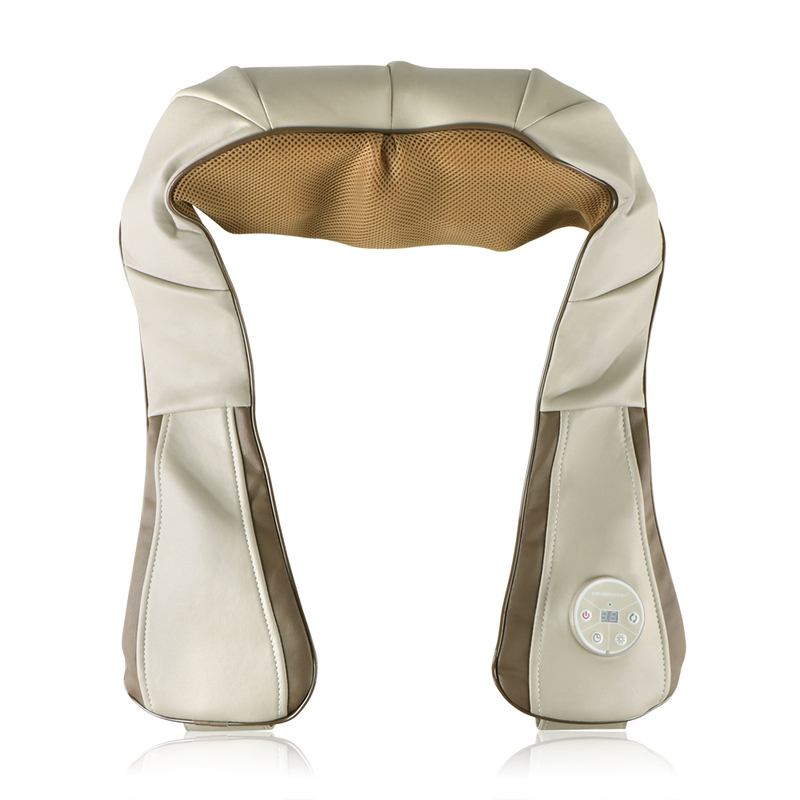 Ergonomic Design: the massager can be easily positioned anywhere on your back, neck, shoulder,thigh and waist. Home Adpter&Car Cigarette Light Plug: with 2 kinds of plug, get yourself a professional massage in the convenience of your home or car. Employs traditional Chinese shiatsu massage principles of heat and gentle pressure to relieve muscle and joint pain in your neck, shoulders, and other areas of your body. Far-infrared therapy with adjustable button to stimulate the metablism and blood circulation during massage. Allows you to enjoy a professional massage in the privacy of your own home, even in the office and car. Eases muscle tension and helps you relax in a short time. With 2 kinds of plug, get yourself a professional massage in the convenience of your home or car.